As you may already know, Notepad++ is an incredibly popular code editor available in Windows due to its syntax highlighting, customizable interface, normal language search and macro recording and replace features make it much easier to handle working on more complicated text documents. However, this beloved app isn’t obtainable with Mac devices. 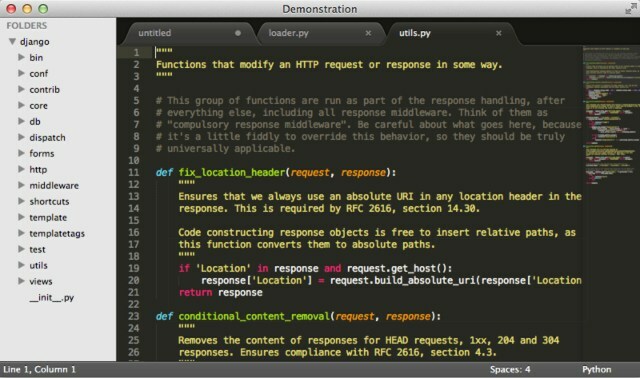 Instead, here are 10 other text editors available for Mac devices that will provide many of the similar features and functions as Notepad++ but will be compatible with your Mac OS device. 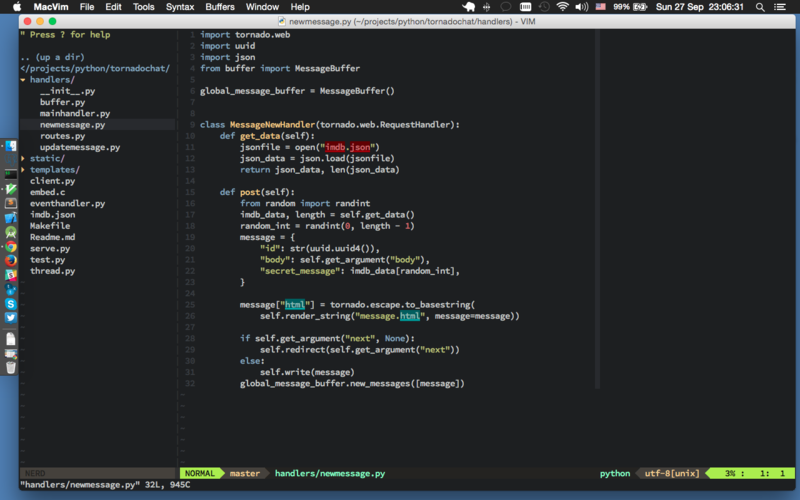 The Sublime Text editor is likely the most well-known simple text editor for Macs. Similar to Notepad++, Sublime Text also offers syntax highlighting, a lot of customizability in the interface, and many fantastic features to be used for editing code. The Goto Anything search option, used by hitting ⌘P, is probably one of the most helpful features of the editor. Using this search option, you are able to open up files, search for certain words and jump to different symbols or lines. Other great features that make this one of the best text editors you could use are the batch and split editing option, a very smooth interface, and a slick mode, which will help keep you away from YouTube or the internet while you are trying to focus on editing. Owning this license will let you install Sublime Text onto any PC you own, even if it isn’t run by a Mac OS. These great features on top of a large number of computers you can install the software on go together to make it well worth the originally daunting $70 price tag on it. If you want to be able to use a text editor on many computer or want these great features, it is well worth the price. This is a much better code editor to look at if you still think $70 is too much to pay for an editor. 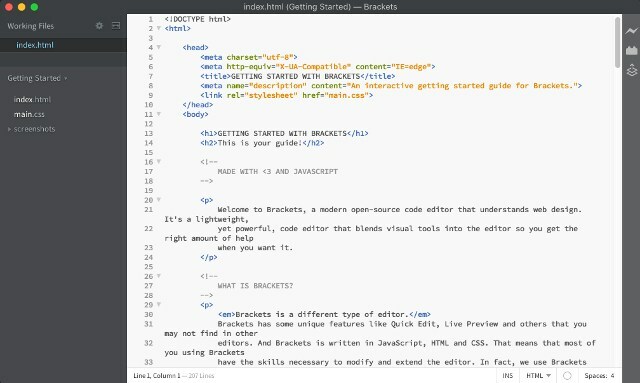 Adobe’s Brackets is another fantastic alternative to Notepad++ with the added bonus that it is free to use. One of the biggest advantages of using an editor made by Adobe is that you can use a feature named Extract to get different colors, fonts, gradients, and measurements from a PSD document. It will extract the information automatically and turn it into a clean CSS, severely reducing the amount of time it would take to convert a PSD file into a website. There are new features continually being released, typically once a month, showing how Brackets is a continually evolving program. Some recently added features include CSS hints and an instant search option. A great number of extensions help increase how well Brackets functions. This includes things like JSHint support and code folding, along with themes that match up with your computer’s visuals. These open source packages mean that you can find some very useful addition to the text editor, including packages with Git conflict management, color display, and highlighters for new languages. 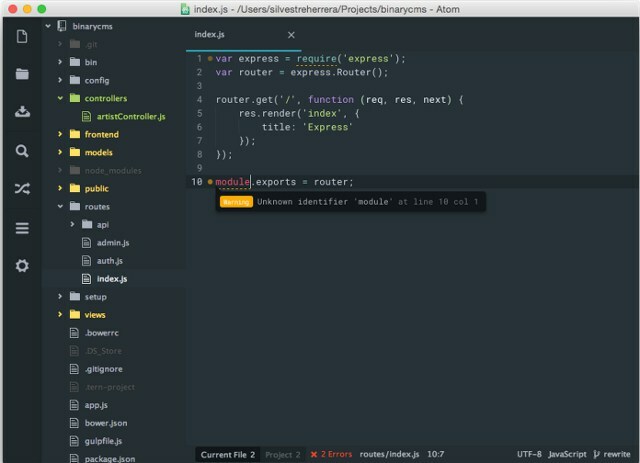 Considering how GitHub had created this program, you can be sure that Atom will always be in the forefront of code editing programs available for you to use. Considering that one of the greatest Notepad++alternatives costs $70, you should feel certain that we included another fantastic but somewhat costly code editor for you here with UltraEdit. 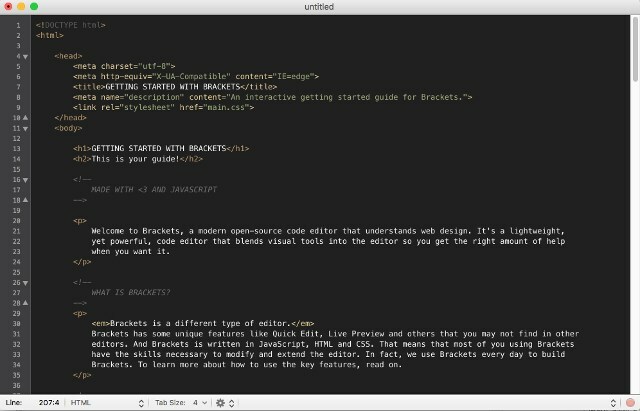 UltraEdit has tools like multi-select, block/column editing, syntax highlighting for a lot of languages, cross-file Regex search, scripting, and can edit lots of text files. This makes this program perfect for the coders who expect a lot from their editing software or will be doing a lot of work on it. You can also get an app bundle that will assist you arrange a development team and assist you compare folders and files, just for an example. The most popular bundle to purchase includes UltraCompare & UltraEdit. These together cost $100but it will assist you be much more aware of the changes being made to the document over time. If you want to receive the whole set of software from IDM because you use a lot of editors and similar software, you can pay up to $100 yearly in exchange for the amount of functions and programs you’ll have access too. 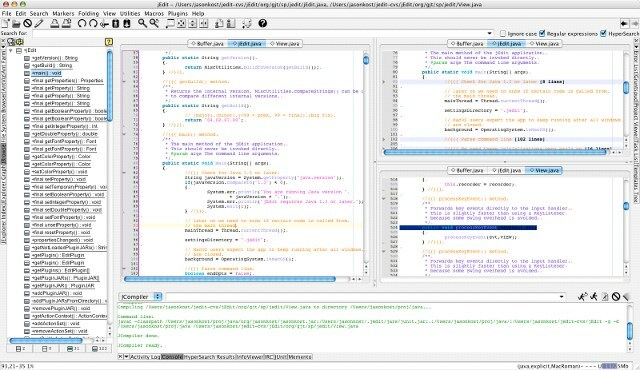 Komodo’s integrated development environment, or IDE, is popular among developers. However, not everybody needs a full IDE to use for their own projects or tasks. 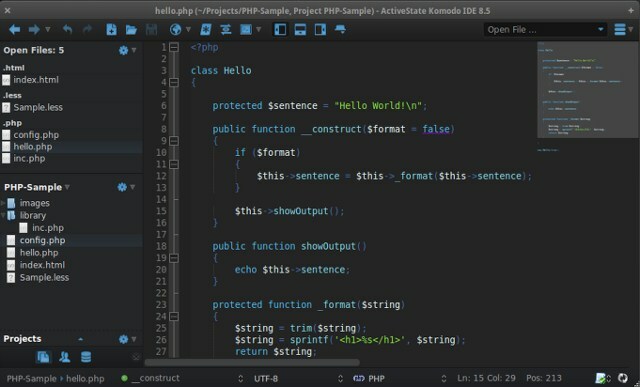 Komodo Edit provides an alternative for people who don’t need such intensive software by including several main features of Komodo IDE, like Markdown viewing and multi-language support. Komodo Edit doesn’t come with the entire full set of features available on other code editors, but keep in mind it was made by a team that put together a very useful & successful IDE. You’ll be sure to get all of the important and essential features. GitHub also has some repositories to add on extensions or themes to this app and the IDE, if you like customizing the program to suit you better. 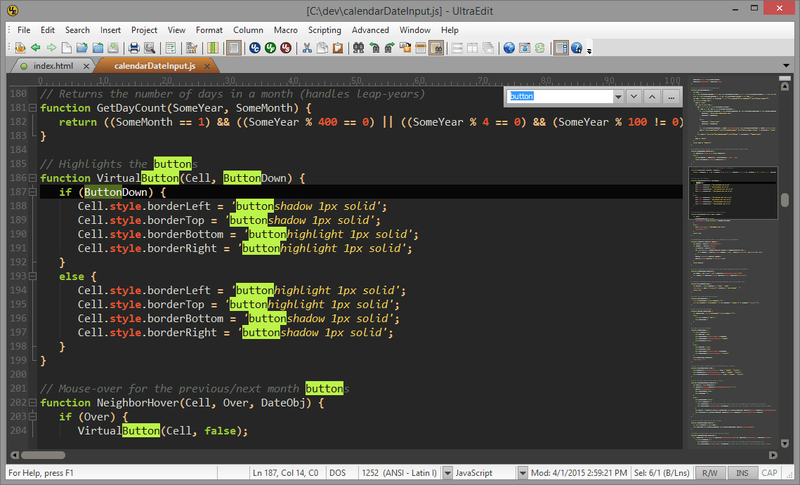 Sometimes it can be hard to tell which will work with Komodo Edit and which only work with the IDE. Take a look around and see what it says and see what helpful packages you can obtain for the program at no cost. Komodo Edit is also combined with Kopy.io, which is an alternative to some of the more popular pastebin websites. jEdit describes itself as text editor made for the “more mature” programmers. This text editor combines a lot of the most popular features that are found on Windows, Linux, and Mac text editors. It has a ton of keyboard shortcuts for almost any function you use, unlimited clipboard space that allows you copy and paste as much you need to, windows can be split up so you can do more efficient editing, and the rectangular selection tool makes it much easier to select text and does it much quicker. Just to name a few key and important features to jEdit. While it isn’t going to win “the best-looking code editor” any time soon, but it was made to help make it much easier on you to edit. A plus is that it is a highly customizable program so you can change it as much as you see fit to fit your needs. Another interesting thing is that jEdit is operated by the developers throughout the world, involving all of the people who spend time developing extensions. Using jEdit could end up being a good way for you to know more regarding programming and communicate with other that have similar interests – and more people who enjoy hacking their text editors. TextMate is an exclusively Mac text editor that combines features of OS X & Emacs into a single text editor made that could actually substitute a full IDE program for many programmers out there. With features like syntax highlighting, syntax debugging, Grep & Regex support, allowing you to run shell commands within a document, and the inclusion of visual bookmarks to let you jump between different places in a document easily, TextMate quickly becomes an astoundingly powerful text editor for you to regularly use when you need to edit. TextMate can also work with Xcode or build Xcode projects. This means you can easily achieve all of the features you love about it while also working with OS X’s built-in IDE. TextMate works best with very large and multi-file text projects that are common to come across and use while programming. As TextMate hopes to automate as much of the manual work for you as much as it can, it becomes a fantastic alternative for Notepad++ on your Mac devices if you often spend some time or will spend time in the future with macros in order to make your coding more effective than before. A common and standard code editor is BBEdit, but because not everyone will want to spend $50 for a single IDE program, they came up with an alternative: TextWrangler. TextWrangler is like a smaller edition of the BBEdit IDE as it comes with many of the great features that made BBEdit a great program to use to develop code. Some of its most prominent features include a Shebang menu made to allow for integrated entrée to Unix scripting, the creation of language modules, syntax highlighting, and one that allows for automatic language predicting. In addition to the features that made BBEdit great, TextWrangler also has common features from plain-text editors, including a built-in text transformation, multi-file search, a spellcheck option and Unicode viewing. TextWrangler is a very good editor to use even though it doesn’t have some of the features that make BBEdit a great system, like HTML tools and the capability of working with Automator. Once you see how convenient and easy to use all TextWrangler’s features are at times, you may even be tempted to upgrade to BBEdit with its much more powerful features despite the $50 cost. 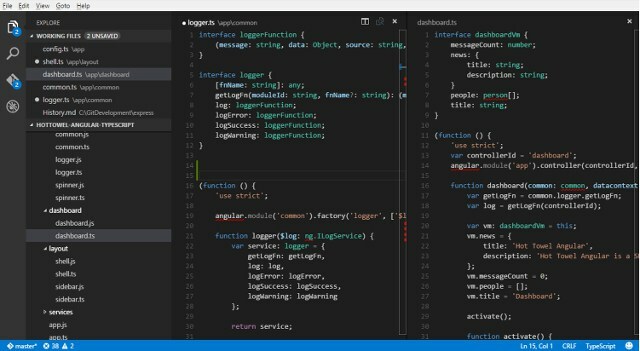 Visual Studio Code is Microsoft’s free text editor that is actually available on Linux & Mac devices. 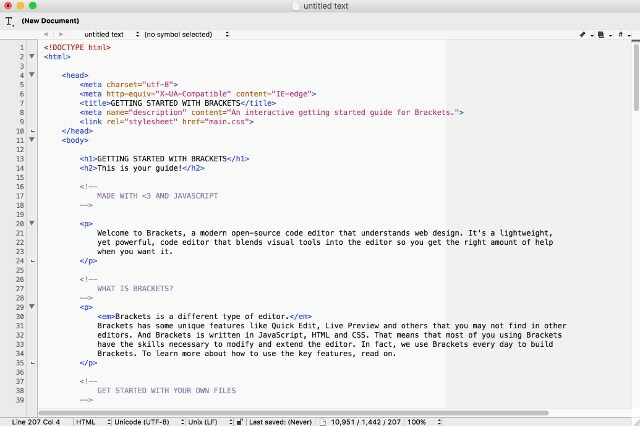 With features like highlighting for more than 30 languages, multiple cursors to use, an outlining option, automatic real-time API descriptions, Git control, and the way it focuses on the more modern web languages, it becomes a great text editor for people who are looking to improve anything online. Visual Studio also has the Visual Studio Community – which is a multi-platform IDE – as well as Visual Studio Online – a service provider for development teams – available for you to pick from and use. Using these three programs simultaneously will make it much easier for you when you are going a collaborative coding project without making you pay hundreds of dollars for other collaboration tools and programs. MacVim is a pretty common text editor to hear about as it is a clone of the Unix editor Vi. MacVim has a lot of the standard features of Vi but it also integrates in many more useful ones alongside the old Vi features. This program has a pretty steep learning curve to it, but it remains the main editor for lots of programmers. In fact, it can even substitute an IDE if you don’t really need or use any of the incredibly advanced features that are found in IDEs. Some of the features of MacVim include pretty flexible customizability, syntax highlighting, and a way to detect any errors. It’s also similar enough that people who have used Vi end up being familiar with the MacVim program. It is likely to remain a feature of the Mac OS X programming community for a while yet. MacVim has different versions of its software available for PC, Mac, DOS, Amiga and Unix operating systems. There are even some mobile versions I case you want to code on you Android or iPhone devices. Once you become familiar with this program, you may not want to pick up or use any other text editor ever again. With a new selection of numerous – and some free! – text editor programs, I’m willing to bet that you’ll be able to easily find a new text editor for you Mac device. If you ever have the need to use a more significant feature set – like in the case of a more intensive editing project – the editors, you pay for tend can cover most of the features you may feel the need to use. Let us know in the comments what you thought of these alternatives; if you’ve used them before, rate or review them in the comments below! TextWrangler has been discontinued. All of it’s features have been incorporated into BBEdit. BBEdit is downloadable for free for a 30 day trial. After 30 days, you can keep using it for free, but the features are limited. Those free features include everything that TextWrangler did, plus some added features. The only time you have to pay is if you want the advanced features (which most users don’t need). Why not just use XCode on Mac? It’s all I use for programming and works well. I’ve never understood why people don’t just use that instead of paying for a third party editor. What am I missing?